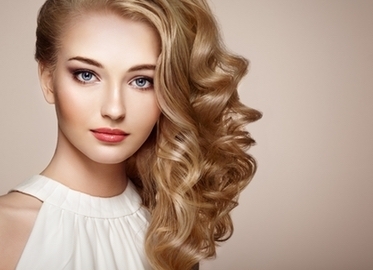 5 Hair Options With Roxan Hair Designs at Wave Hair Salon Starting at $19! Cut and/or Color Using Matrix Products! Or Get of Your Frizz With a Keratin Hair Straightening Treatment! Option #1 through Option #4 includes shampoo and deep conditioning! Whatever your hair dilemma, we have the solution that won’t cause a quandary for your credit card! Looking for a great new style to step into spring? For just $19, Roxan will expertly cut and blow-dry your hair. And if it’s time to cover up that annoying gray, opt for one of our color packages: add single process color for $39 or a partial weave for $49. Or get the whole shebang-color and partial weave, with cut and blow dry--for $79. If it’s unruly curls and annoying frizz that are coming between you and that “perfect hair day,” select the Keratin Hair straightening treatment for just $99! With today’s hair-raising deals, there is a choice for everyone!